Thank you all for joining us. We had a great turn out and lots of excellent questions. For those of you who missed it, DON’T PANIC! We’ve placed a recording of the entire thing for you to watch at your convenience. Just click play below. Remember if you have any questions at all, feel free to contact Mike. 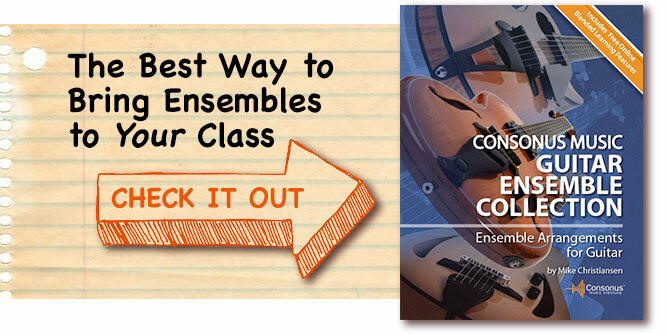 Guitar Ensembles are an essential part of any classroom guitar curriculum. 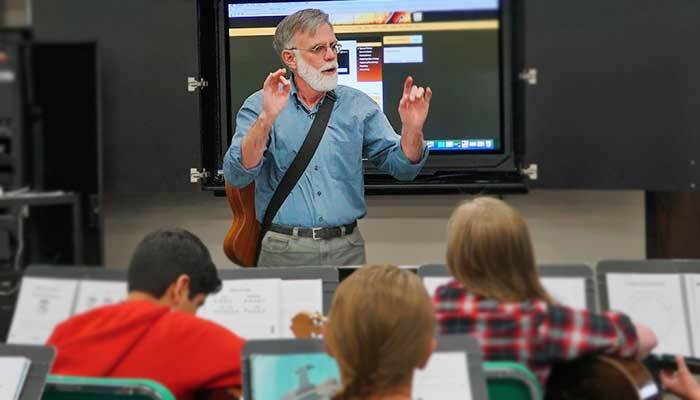 They afford guitar students many of the same benefits that band, orchestra, and choral students receive by rehearsing and performing in a group. 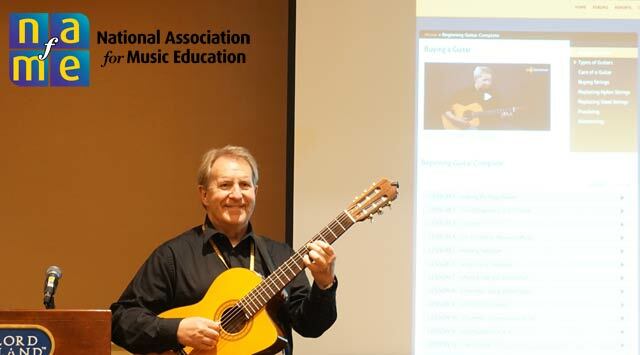 In this webinar guitar pedagogy authority Mike Christensen will cover the key topics in implementing ensembles or improving an existing ensemble program. 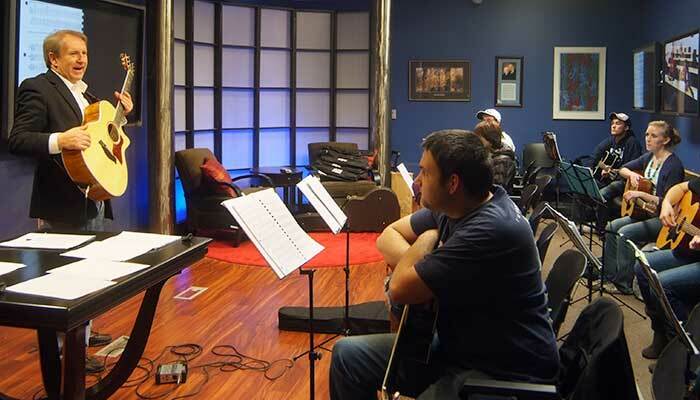 Any music educator who currently, or is considering teaching classroom guitar whether you have prior guitar performance and pedagogy training, or are new to the guitar.